Great Images being deliberately misinterpreted by the History Channel. Never mind the screamingly obvious problems with the description, it does do a good job of summing up what most people think of the Nazca lines, inaccuracies and all. This idea that the lines were used as landing strips seems to come from the presence of the long trapezoidal geoglyphs and the supposed evidence of a leveled mountain top. Von Daniken mentions this in his books, but I haven’t found reference to it, or concern about it, in any of the research. Still, these ideas persist.So, the theory goes that the lines were laid either by man or alien in order to direct and provide a location for space ship landings. Tying this into the Cargo Cult connection; after the Aliens stopped coming to earth with their cargo, we humans began to build a religion around them, attempting to bring our alien saviors back to earth with misinterpreted ritual. Websites abound on the Internet and even the History Channel, which has produced two seasons of a show called Ancient Aliens, tout belief in and even evidence of aliens. You can find lots of people who are ready to explain the Ancient Alien Theory and tell you all about the evidence supporting it. Not too surprising the Nazca lines fall into this category of evidence. Even after the modern research mentioned in my last post, these sites still claim that the lines cannot be explained, that scientist still search for an explanation to the cause of the lines, even though this is not true. The reality is that we do have both really good explanations and building methods that require little more than a stick and some string. Well known Skeptic, Joe Nickell, was able to reconstruct the geoglyphs in a remarkably short time using basic, simply reproduced, and most certainly available instruments for the time. Nickell’s, his two cousins, a friend, his 11-year old nephew, and father reproduced the 440 foot long Condor in just over a day and a half (baring time off due to rain) [Nickell1983]. They used merely a knotted rope, stakes, and a T-square they constructed from two pieces of wood. I really recommend the article; it’s a pretty good example of how the Nazca and their ancestors could have produced the geoglyphs without alien help. So, now we know how the glyphs were probably made, we have a pretty solid theory onwhy the glyphs were made, we even know a fair bit about the culture of the Nazca (though I haven’t touched on that here). We’ve got the How, the Why, the When, and even the Where. At every point we know humans did this, and not once is an outside force required to accomplish any of it. This point was also made by The Nazca-Palpa Project in 2007 [Isla 2007], where they not only dated the geoglyphs and gave sequence order to the deposition, they remarked that the smaller glyphs could be seen from a short distance, like from a slope [Isla 2007]. I would hope at this point that I’ve provided enough evidence to remove aliens from the picture. I can show that the geoglyphs were most probably a cultural tool used to create a sense of community and possibly served ritual purposes dating from about 400 BC till sometime after 600 AD [Isla 2007]. I have shown that they could have been created using nothing more than a sketch, knotted rope, and T-square [Nickell1983], all of which was available in that time period. There is also the well known C-14 dates of the pottery sherds and burials associated with the lines, which help us put the lines into context [Isla 2007, Nickell1983]. There is no need to add aliens to the mix, they are unnecessary. They create a complication that is not needed since everything has a simple, human explanation. As I say in all my presentations, if you are a True Believer, there isn’t a damn thing I can provide to change your mind. All the evidence in the world will be wasted on you, but if you came to this looking to have a few questions answered, I can help you there. 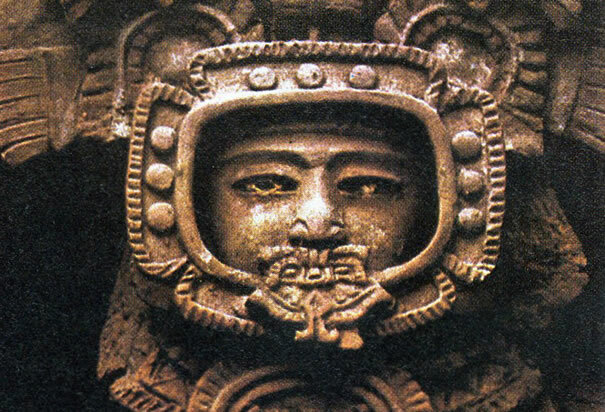 2011 Evidence of Ancient Aliens? The History Channel website.http://www.history.com/shows/ancient-aliens/articles/evidence-of-ancient-aliens.Accessed Jan 25, 2011. 1983 The Nazca Drawings Revisited: Creation of a Full-Sized Condor. Skeptical Inquirer MagazineVolume 7.3, Spring 1983.http://www.csicop.org/si/show/nazca_drawings_revisited/Accessed Jan 25, 2011. 2007 Nazca-Palpa Project: Photogrammetric Reconstruction of the Geoglyphs of Nazca and Palpa. January 2007 http://www.photogrammetry.ethz.ch/research/peru/index.html Accessed Jan 09, 2011.